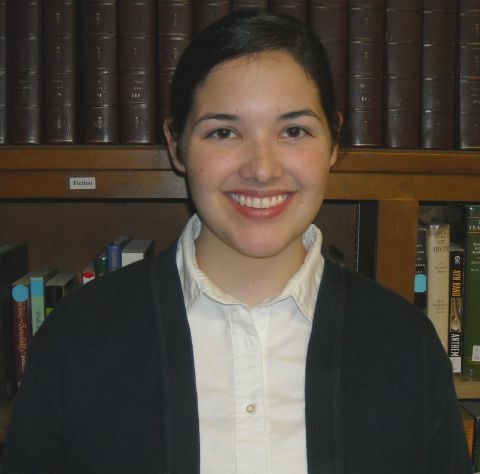 Congratulations to Regents senior Adrienne Duke. 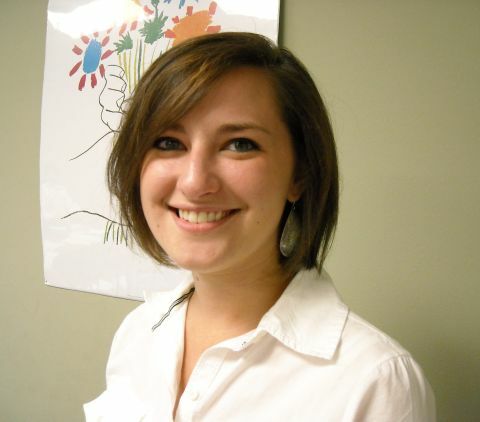 Adrienne has been named a Commended Student in the 2011 National Merit Scholarship Program. Today in morning assembly I had the pleasure of presenting Adrienne with a Letter of Commendation from Regents Academy and from the National Merit Scholarship Corporation, which conducts the program. About 34,000 Commended Students throughout the nation are being recognized for their exceptional academic promise. Commended Students placed among the top five percent of more than 1.5 million students who entered the 2011 competition. For her teachers, her parents and family, and for all those who know Adrienne, this honor is certainly no surprise. Congratulations again, Adrienne, and may God bless you! It is for the Regents fourth grade at least. The fourth grade class recently finished reading Charlie and the Chocolate Factory, and to celebrate their accomplishment the class each made a delicious treat and brought it to the class to share. 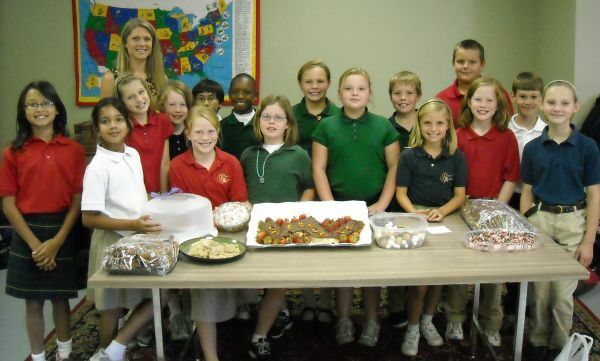 Pictured below is the class with a few of their goodies and their teacher, Mrs. Katrina Terrell. 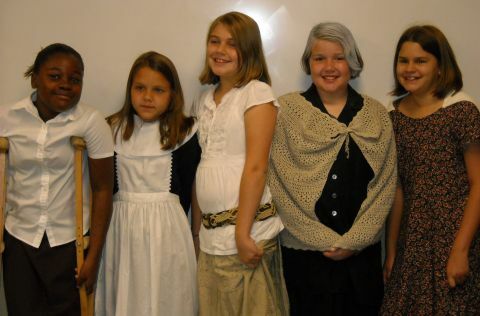 The Regents fifth grade class celebrated their reading of the literature title The Witch of Blackbird Pond on Monday with costumes and presentations about the American colonial period. 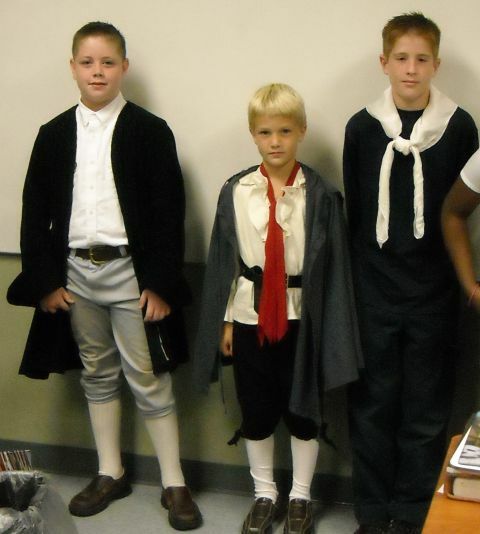 Students dressed as characters from the novel and prepared presentation boards. The fifth graders were inspired and led by their teacher, Miss Ruth Hoffmann. If you think of a school as a machine, then you have to conclude that every part of a school is necessary. A car with all its parts except for a radiator hose is not going far. Likewise, a school without, say, books or desks won’t get very far either. But what is the most important part of a school? What is most needful for a child’s education to be successful? Is it technology? Maybe if we put a computer in every classroom, teach students to be computer-savvy, and connect every school to the internet, then education will be effective. Is it money? One might be led to conclude so based on the headlines. Spending on education in our country has grown exponentially in recent decades, even while student performance has steadily declined. Is it teachers? Again, if you follow the nightly news, you might conclude that teachers are the sine qua non of a successful education. Many educational policy makers are advocating that teacher pay be based on student outcomes. Poor teachers, then, get washed out of the system, and what is broken gets fixed (or test scores rise, at least). Or is it facilities? Opportunities for students to escape failing schools? New methods and progressive curriculum? Government-mandated standards? Possibilities could be multiplied ad nauseam. But ask teachers who are actually in the classroom day by day. They will tell you what theorists and politicians may very well have missed: what is most needful for a successful education is committed parents. A class could meet under a shade tree on a picnic table with nothing but a teacher and a shared book, but if the students have parents who are involved in their children’s learning, motivated to excellence, and committed to holding their children accountable, then that education will still be effective. A Christian worldview teaches us that God governs mankind through several overlapping realms: the church, the civil magistrate, and the family. And it is the family – parents, not governments – that is tasked with educating children (see Deut 6). So parents are called by the Lord God to educate their children for Him, and good schools know that they educate children in loco parentis, in the place of the parent. Schools don’t replace parents; rather, they partner with parents to aid them in their responsibility under God to train their children. Therefore, parents should recognize this responsibility. Parents should see that their part in the educational machine is essential and irreplaceable. And more: parents should embrace a vision for their children’s education. So look carefully at your own attitudes about reading, math, Latin, and writing. Your children share your attitude about these things. If you think Latin is a waste of time, your children will, too. If you love to read, fill your home with books and ideas, and let your imagination spill over to your children, you are doing something no amount of teachers, curricula, and computers can accomplish. God has created you, parents, to educate your children. It is the most important business you can engage in. We can praise God for excellent teachers at Regents Academy, for the riches of classical Christian education, and for wonderful books and buildings. But we must remember that visionary and dedicated parents are what is most needful for a child’s education to be successful. Did you know that students can be so excited about art class that they spontaneously applaud? Neither did I! But this past Wednesday, I did a repeat of one of our favorite classes from last year with our youngest students—kindergartenerss, first and second graders. The lesson is all about color. I took six transparent cups, filled them with water and set them on top of an overhead projector. When the projector was turned on, the light shone through the cups onto the wall. Adding food coloring into the cups turned them the color we wanted, slowly and dramatically. Let me tell you, when we started mixing those primary colors (red, blue and yellow) to get the secondary colors (green, orange and purple), the room came alive. The kindergarteners oooo’d and ahhhh’d as each color was dripped in. The first graders cheered and kept comparing them to eyeballs. You’ll have to ask them why. My favorite reaction was the second graders, who applauded as soon as they walked in the room and recognized the lesson. Isn’t that great? Teaching art to your children is a blessing. 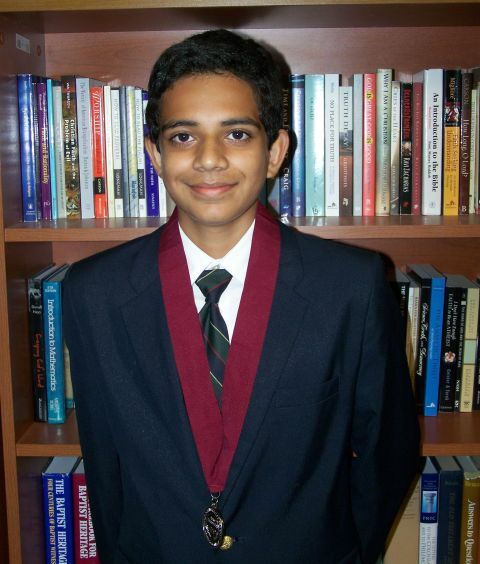 Akilesh Bapu, son of Dr. Dyanesh Ravindran and Kousalya Bapu, was awarded state recognition by the Duke University Talent Identification Program (Duke TIP) earlier this summer. Akilesh was among those students recognized statewide for outstanding performance on either the ACT or the SAT, having scored in the top percentiles for students in the 7th grade. The Duke TIP program identifies academically talented students who may benefit from the innovative educational programs offered by Duke University. I like Edgar Allan Poe’s advice: “If you wish to forget anything on the spot, make a note that this thing is to be remembered.” That works for me far too easily! But is “I forgot” a good excuse for failing to do our duty? Many children masterfully use a well-placed “I forgot” because they know it will make their problems magically disappear. But children often learn this technique after watching adults use it with consummate skill. We must remember our children’s frame and recognize that there will be times when they forget to do their chores, pack their lunch, finish their homework, or say please to their little sister. Some children are more forgetful than others. However, we should never allow our children – and teachers should never allow their students – to form a habit of an easy “I forgot” that makes responsibility go away. There is a fascinating passage in the book of Deuteronomy in which the Lord speaks to Israel and warns them to remember Him. “Beware that you do not forget the LORD your God” (Deut 8:11). An odd thing to say. How could God’s people forget the One who carried them on eagle’s wings to rescue them from oppression? They would forget Him “by not keeping His commandments.” Disobedience carries with it an implicit forgetfulness, whether willful or negligent. But God would not accept “I forgot” as an excuse for Israel failing to obey Him. Instead, the Lord called on Israel to remember His acts, His commands and promises, His calling, His gifts – in short, He summoned them to remember their relationship to Him and everything that comes with it. He disallowed forgetting as an excuse for disobedience. “I forgot” may be the reason that a child’s homework did not get done. But in fact the forgetting is a euphemism for what actually happened. “I disobeyed you by not being mindful of your authority and did not do what I was required to do. I deserve the consequences and have no excuse.” How would a home, a classroom, or a school change if this were the way our children spoke? What if we adults used these words as well? We don’t do ourselves or our children or our students any favors when we allow “I forgot” as an excuse for not doing the right thing. I have forgotten so many duties and promises in the course of my life that were it not for the grace and forgiveness of God and of others, I would have fallen apart a long time ago. We all need to be kind and merciful toward one another, and especially toward our children. We need to embody in our homes and our school both a culture of love and compassion and also a culture of responsibility and duty if we will create a culture that honors the Lord. But let’s remember to put “I forgot” in its place. Congratulations to the High School Soccer team! The Regents Academy Eagles High School team won 4-0 in its soccer match versus East Texas Christian Academy (Tyler). The home game featured tough play and stellar teamwork, with goals by Ethan Armstrong, Rylee Milliken, and Sam Alders. Our culture seems to have a love-hate relationship with reading. Book-selling is big business, but the entertainment industry is bigger. The Bureau of Labor Statistics reports that American adults watch 2.8 hours of TV per day, while the Kaiser Family Foundation documents an average of only 25 minutes spent reading daily. The BLS also reports that in 2009 “individuals ages 15 to 19 read for an average of 5 minutes per weekend day while spending 1 hour playing games or using a computer for leisure.” I venture to say that most children could more readily identify SpongeBob than Mark Twain. I hope I’m wrong. students read one book on their own each quarter. These books are high quality literature that challenges them and, Lord willing, fosters a love for reading. 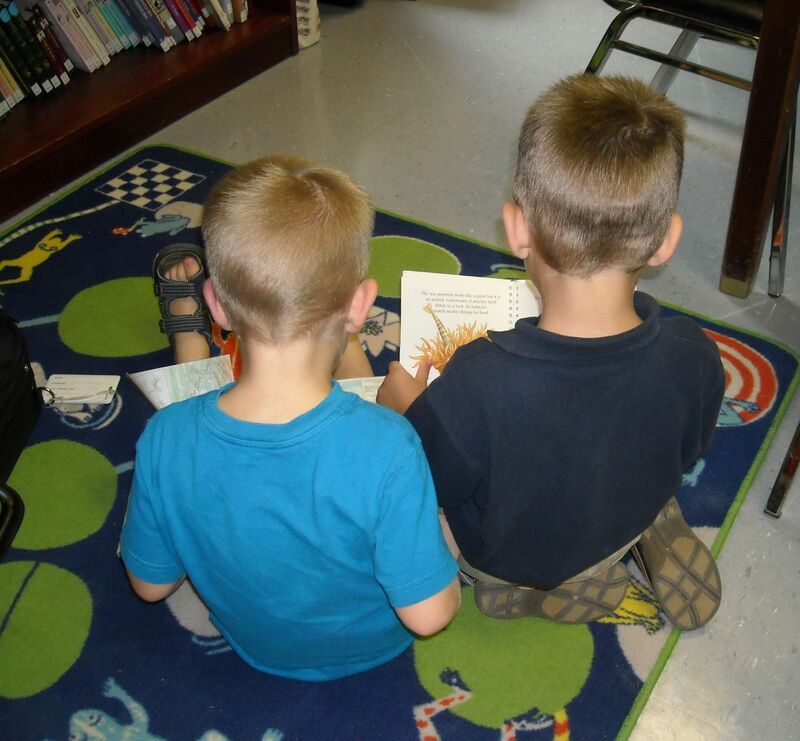 Teachers lead students to choose books that they will enjoy and that will kindle their imaginations. Reading a good book is its own reward, but I hope that our students are being rewarded in other ways as well, as they sense the accomplishment and excitement that comes from reading. Taste, swallow, chew, digest. There is a book for every purpose. Our job is to set the table and whet the appetite. With the guidance of excellent teachers, the enthusiasm of parents, the diligence of students, and the strength of the Lord, together we can create a culture that values and inspires reading and that cultivates “weighing and considering.” I would encourage you, parents, to read good books yourself, read aloud to your children, be involved in the books your children are reading, and donate good books to our school library. Then go find a teacher and say thank you.